Roger W. Breternitz has been a certified registered Clinical Hypnotherapist completing over 300 hours of training and internship with 22 years of experience, and has helped hundreds of people of all ages and walks of life achieve their goals. With experience in presenting seminars for companies and corporations on stress management, customer relations, power selling, and employee interaction, he makes this guarantee. After listening to this CD you will have reduced stress levels, be able to handle your problems more effectively, and be able to relax more readily, finding effective solutions quicker that before. JUST DO IT. ORDER NOW! Patrick O"toole, Chilocothie, Oh. 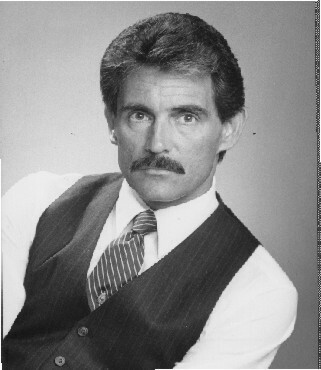 I managed a restaurant and bar for the last 17 years and have the gray hairs to prove it. It's always something going wrong, and I was going off the deep end. After getting this stress management CD the first day back, it seemed like nothing was too tough for me to handle, and it got easier the more I listened to the CD. Pretty soon I am making an offer on the place to buy. Jamie Farmer, Victorville Ca. - I am a pilot in training and they do give us stress tests. After getting this CD my level of controllable stress almost doubled, and I became more efficient in everything I did under testing. I think it's great! What is stress anyway, and how do we come in contact with what causes it, and how can we overcome it. The more you know about any conflicting adversary the better you can deal with it, so let's get to know STRESS. There are several levels of stress that you want to recognize and assign a level of severity or importance to go along with it. Let us take the highest most important level of stress and examine it...LIFE THREATENING! That means if you do not perform, step up, do your job without mistatke...you die. The second level almost always connected to the first level is...people around you die! Now most of us don't have that level of stress. Not unless you're police, or firefighters, or in active duty in the Service in a combat zone. 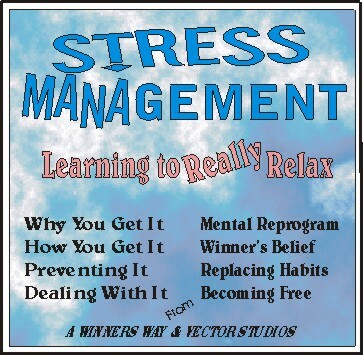 If you are, you've already had the stress management course and don't need this CD, so let's get back to actual society and the stress we encounter on a regular basis, and of course how this can add years to your life! You restructure your belief system to prevent you from getting into that situation in the first place. That's what this CD does for you, it changes your belief system to keep you from getting on that "Skateboard" to begin with. It also equips you to handle the pressure situations that come up that you cannot plan for, and do it in a way that still keeps you off the "Board". You have one time or another been around people who should be crowned "Drama queen/king of the Year", do you remember those people? Maybe you've been told you're one of them! There is an old Chinese saying, "There is no right or wrong, only your perception of it". Much of the stress people endure is self-caused by just the way they live their lives, or the seriousness of their personalities. They view each encounter as a challenge to making someone like them, or making sure not to rub someone the wrong way, and they spend way too much time looking in the mirror before they leave the house. Everything is a crisis and they view an absence of problems as a problem in itself! If this sounds like you, this CD is EXACTLY what you need, more that anyone. It also implants commands in your subconscious mind to cause you to relax when you feel pressured, thus allowing you to think more efficiently, clearly, and come to the best solutions in a quicker time frame.